Author Lorna Goodison will be in discussion with Louise Welsh at the University of Glasgow. This is a rare opportunity to share an evening with Lorna Goodison, Poet Laureate of Jamaica, and one of the most distinguished writers of her generation. 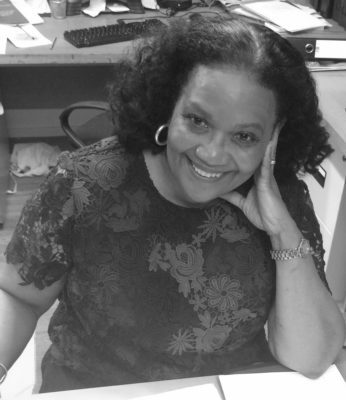 Lorna Goodison is the Poet Laureate of Jamaica, and a major figure in world literature. She is the author of nine collections of poetry, three collections of short stories and an award-winning memoir, From Harvey River: A Memoir of My Mother and Her People. Her Collected Poems was published in 2017. Redemption Ground: Essays and Adventures is her first collection of essays and was published by Myriad in August 2018. Lorna Goodison is the Poet Laureate of Jamaica. She is the recipient of numerous prizes for her work, including the 2018 Windham Campbell Prize for Poetry from Yale University. The author of twelve collections of poetry, three collections of short stories, an award winning memoir and a collection of essays. Her work has been included in the major anthologies and collections of contemporary poetry published in the United States, Europe and the West Indies over the past thirty years, including the Norton Anthology of Modern and Contemporary Poetry (2003) as well as the HarperCollins World Reader, the Vintage Book of Contemporary World Poetry, the Norton Anthology of World Masterpieces, and Longman Masters of British Literature (2006).. She is Professor Emerita in the Department of English at the Centre for African and Afroamerican Studies at the University of Michigan. This event is free but please do book in advance here.